HELP My Sourdough and Kefir are Taking Over!!! One thing about getting back to basics and getting your “ferment” on, is how so few ingredients can grow and grow and grow. 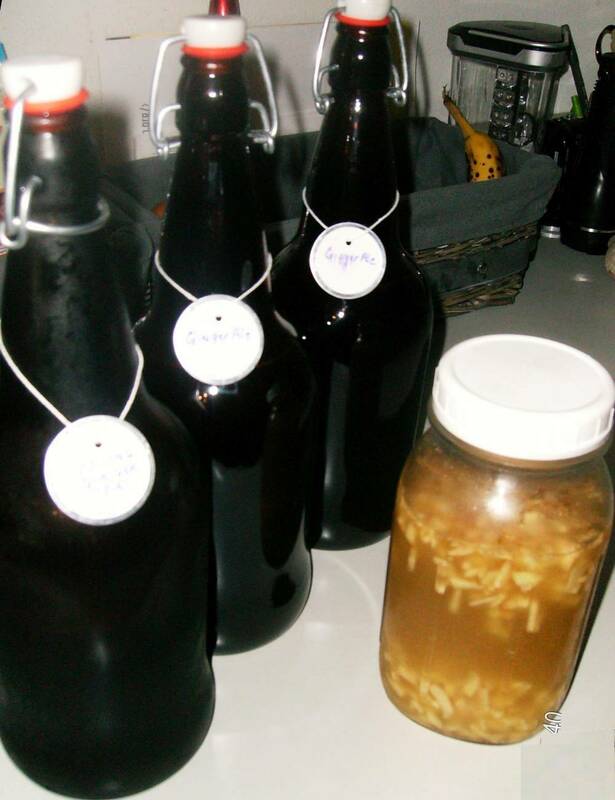 I look around and there is sauerkraut and ginger bug fermenting on the counter, probiotic sodas fermenting in a shelf, sourdough fermenting on the baker’s rack, kefir fermenting……and on and on. They are all being carefully nurtured and cared for so that they can care for us. But they all do grow and multiply. Stalling them in the fridge is a temporary solution and does provide a bit of a break but there is only so much bread, waffles, pancakes, smoothies and yogurt 2 people can eat. So I set out to find new ways (at least new to me) to use some of these wonderful ferments. Today I’ll be documenting my first attempt at making a sourdough chocolate cake with a vanilla kefir frosting. Here I go…wish me luck! Combine sifted ingredients with wet ingredients and mix well. 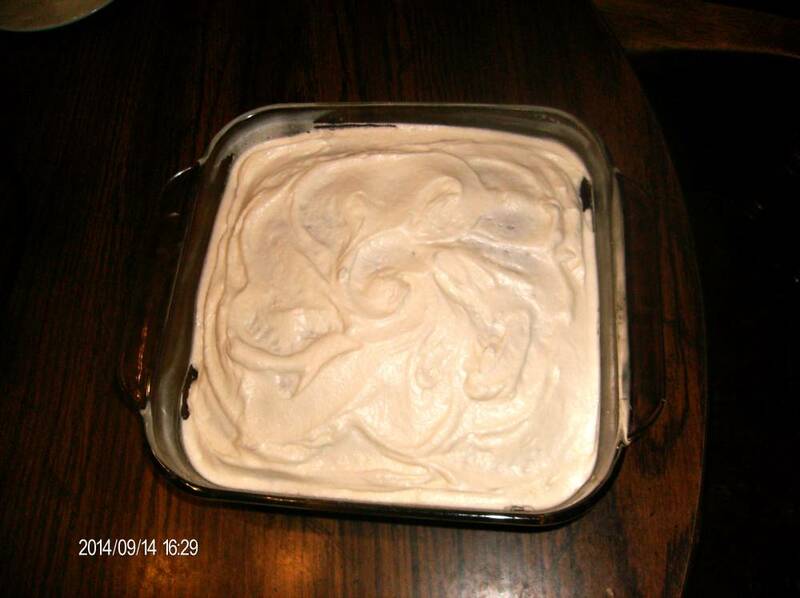 Pour into an 8 x 8 inch greased and floured cake pan. Bake at 350 degrees for 30 minutes, or until toothpick inserted into the center comes out clean. Cool completely before frosting. Mix on high speed until light and fluffy. I have to say this is SIMPLY delicious! 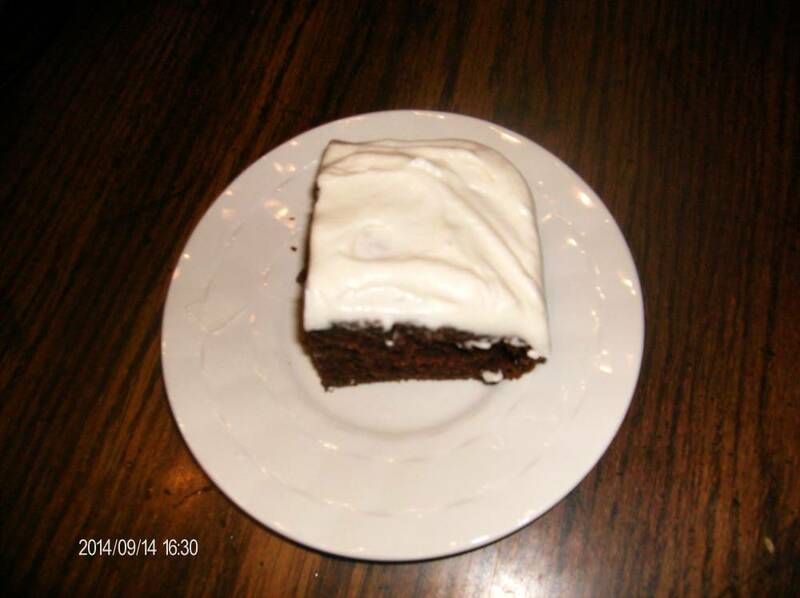 Posted on September 14, 2014 September 28, 2014 Categories Back To BasicsTags cake, chocolate, frosting, ingredients, kefir, organic, recipe, recipes, sourdough1 Comment on HELP My Sourdough and Kefir are Taking Over!!! Recently my Sister-in-law Mary, who is a fabulous cook, shared a recipe with me for an apple cake. Since harvest season is here and there is an abundance of produce (Apples being among them)I thought I’d use some of those Apples that were on the verge of becoming a casualty of the compost pile. The recipe she sent made a 9 x 13 inch cake pan which is far too large for the 2 of us here so I’ve modified the recipe to be a single 8 x 8 cake. I’ve also changed up the ingredients from traditional to organic and substituted some of the ingredients for healthier versions. This cake also works well substituting pears for apples. First let me say that I don’t think any of my substitutions made this cake less acceptable to the Jewish community keeping in mind their religious dietary restrictions. ½ Cup of coarsely chopped walnuts (optional) raisins also work well. 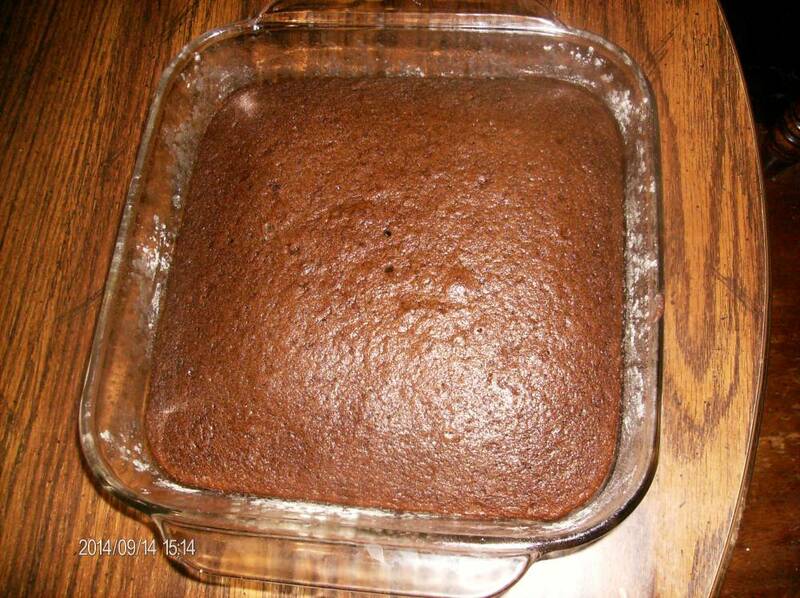 Grease and flour an 8 x 8 inch glass cake pan. In a large bowl mix sugar, stevia, eggs, vanilla, cinnamon, salt and baking soda. Stir in oil and mix well. Add both kinds of flour and mix well. Fold in apples and nuts. Batter will be very stiff. Scrape cake batter into greased and floured cake pan and spread evenly. Make topping: In medium bowl mix brown sugar, cinnamon and nuts. Sprinkle evenly over the top of the cake batter. Bake in a 350 degree preheated oven for 45-50 minutes. Cake is done when inserted tooth pick comes out clean. Serve plain or top with powdered sugar or a dollop of whipped cream or a scoop of homemade vanilla ice cream.